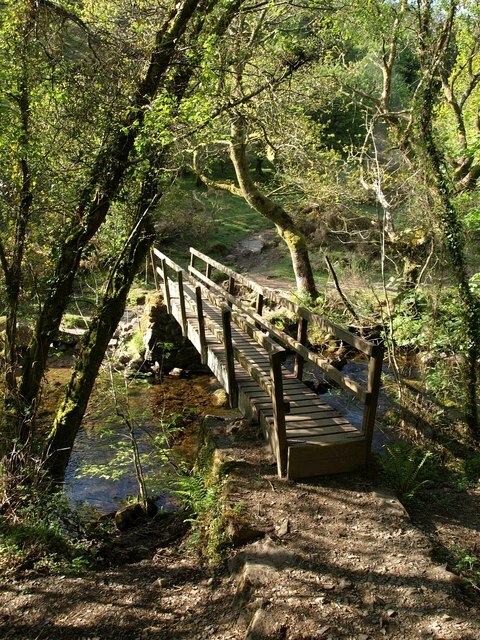 This walk links two museums on the northern edge of Dartmoor. It starts at the Finch Foundry Museum in Sticklepath, a working museum owned and operated by the National Trust, and ends at Okehampton’s Museum of Dartmoor Life. For much if its route the walk follows the line of the Tarka Trail. The Two Museums Walk follows the southern extremity of the Tarka Trail, giving a good sample of what may be found along the Trail. Sticklepath : pub and shop; Belstone : pub; Okehampton : facilities. 3 stiles; no steep climbs except for a steady climb of approximately 60m/200 feet on the extension from Okehampton’s museum to the station. OS Explorer (1:25,000 scale) No. OL28 Dartmoor or No.113 Okehampton. OS Landranger (1:50,000 scale) No. 191 Okehampton and North Dartmoor. 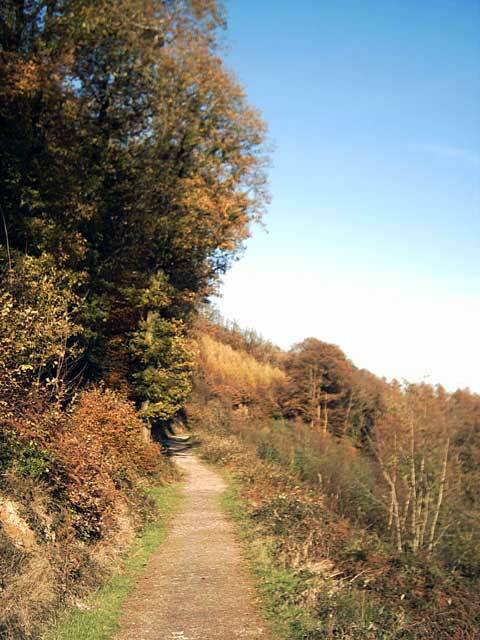 The Two Museums Walk is designed as a one-way route, using the local bus service to travel from Okehampton to Sticklepath then walking back. It is possible to extend the walk beyond the museum at Okehampton to the railway station, where there is transport, parking, information and refreshments. Sticklepath is a pleasant little village on the old main road between London and Cornwall. It derives its name from the steep, or “stickle” climb on the old road at the west end of the village. The Finch Foundry Museum, owned and operated by the National Trust, is a former corn and cloth mill which became an edge-tool factory in 1814. It was owned by the Finch Brothers until 1960 and made a range of agricultural hand tools including billhooks, scythes and shovels. Three waterwheels drove tilt-hammers, drop-forge hammers, cutting shears, fans for the forges, a grindstone and a polishing wheel. Production finally ceased in 1966, but the National Trust have retained the machinery in operation, still powered by water, and it is well worth taking the time to look round. Several Sticklepath Quakers sailed with William Penn to America to help found his Quaker colony of Pennsylvania. There is a fingerpost here indicating the start of the Two Museums Walk by the grassy area known locally as Billy Green. A little way along on the opposite bank is Cleave Mill. Now renovated as housing, some of the gear used to divert water from the river for power is still obvious. The mill was owned by the Pearse family in the 19th century, this being the family of Tom Pearse of Widecombe Fair fame. The grey mare of the song is said to have been stabled in Sticklepath. Notice the quotation from Tarka the Otter included in the bridge. Tarka followed this river on his way down from High Dartmoor to the north Devon coast. This river is the Taw, which rises in the great wilderness of north Dartmoor at Cranmere Pool, ultimately to arrive at the north coast beyond Barnstaple. It will have been obvious for some time that the Taw has cut quite a deep valley in the edge of Dartmoor here. The valley now becomes even more pronounced as the path enters Belstone Cleave. The Cleave features as a location in Tarka the Otter, where Tarka fought, and defeated, the stoat Swagdagger. The book describes the Cleave in words that are still appropriate now, almost eighty years later. The swiftly flowing river, clear brown water and tumbling rapids make Belstone Cleave both picturesque and atmospheric. As the path rises a better idea of the wooded slopes of the Cleave may be obtained, and soon buildings on the edge of the village at Belstone appear ahead. Nearby, but largely invisible from here, are the remains of Ivy Tor Mine, a tin mine of medieval origin, but also worked in the 1800s. There is a good view of Belstone Cleave and, beyond, the slopes of Dartmoor rising to the high point of Cosdon Hill. The building opposite was until fairly recently Belstone’s Post Office. Before that, as the sign says, it was the Telegraph Office but its 19th century origins were as a Zion Wesleyan Chapel. The Two Museums Walk departs from the Tarka Trail here for a while. 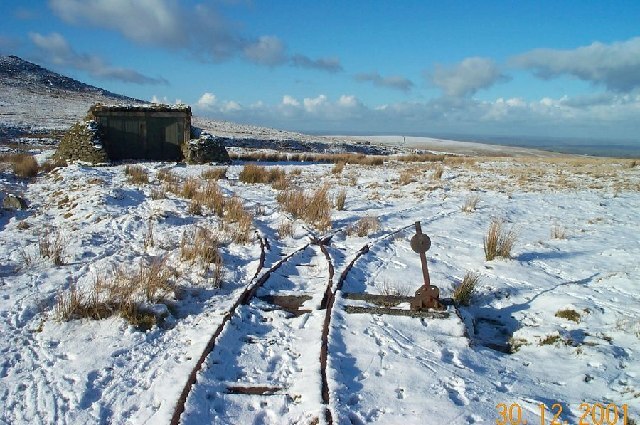 That route takes a long loop onto the edge of the high moor on its way to Okehampton, while the Two Museums Walk takes a more direct route. From this relatively high point, there are good views ahead over the lower land of central Devon. On the far horizon, on a clear day, can be seen the outline of Exmoor. Fatherford derives its name from a Saxon word for cattle ford, but it is now dominated by the two viaducts. The older stone structure carried the former Southern Railway main line between London and Plymouth and now carries the Dartmoor Railway Line to Okehampton, while the newer concrete one carries the A30 Okehampton by-pass. The walk has now rejoined the line of the Tarka Trail, which comes in from the opposite direction and then follows this same path. This river is the East Okement. Flowing off Dartmoor, it eventually joins the River Torridge and on to the sea at the same estuary on the North Devon coast as that used by the Taw which was followed earlier. The area through which the path now passes is owned and maintained by a local trust as an area for conservation and quiet enjoyment. Okehampton’s Town Mill was mentioned in the Domesday Book of 1086. It has a turning water wheel, dating from 1882. There is a small information board at the foot of the steps. Next to the path is the Old Mill, with its prominent chimney, not to be confused with Town Mill earlier. In the 17th century there was a wheat and rye mill here, side by side. The mills were enlarged in the 1800s and a fertiliser business set up, with a bone crushing plant and production of sulphuric acid, which was pumped uphill to the railway station. This was abandoned when the pipe broke. The chimney dates to the mid 1800s when the site was used as a manure and vitriol works. The museum is well worth visiting for its displays of local life and history. For those who wish to return to Okehampton Station, or to extend the walk to finish there, there is a pleasant walk through Okehampton’s Park.